Exciting Outdoor Activities, New Challenges and Adventures! 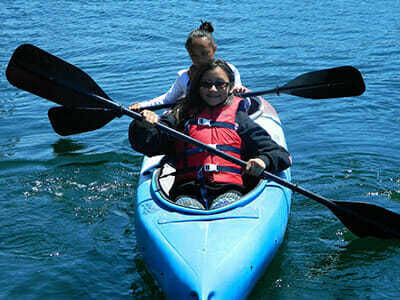 Teen campers canoe, kayak and fish at the waterfront. They explore the far reaches of the reservoir left unexplored by the younger camper groups. Instruction for all skill levels are at the waterfront and Superchoice activities. 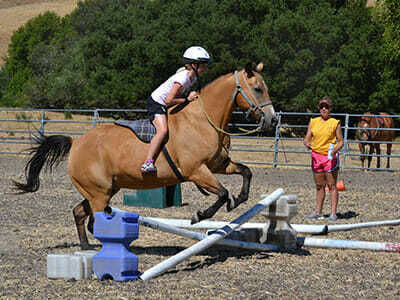 Teens can participate in riding clinics and English riding lessons are offered for beginner through advanced riders. 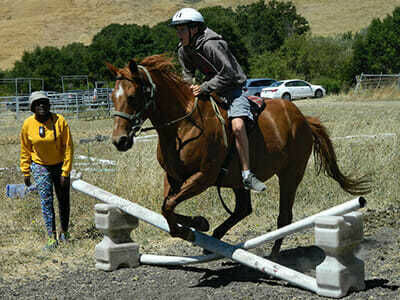 All riding programs are located at our private ranch in Moraga. Older campers do an additional extended lesson in Superchoice each Friday. Riding Program Overview.  Teen campers participate in swim clinics geared for swimmers of all abilities (advance –novice levels). This allows campers to hone their swim skills in specialty clinics, including diving, water polo, stroke technique, and endurance building. ‘Race to Alcatraz’ – Endurance building! Older campers participate in more advanced sports and learn the skills necessary to play lacrosse, rugby, and ultimate frisbee. Our goal is for everyone to play to the best of their ability, build skills, and have fun! 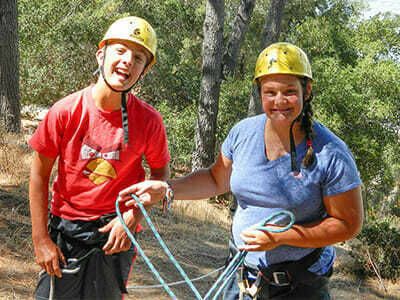 The Adventure Program focuses on group activities and challenges that require cooperation, communication, and teamwork. Campers work together to master challenges and obstacles facilitated by the Adventure counselor. Older campers enjoy taking part in advanced craft projects, such as woodworking, beading, jewelry making and clay sculpting. 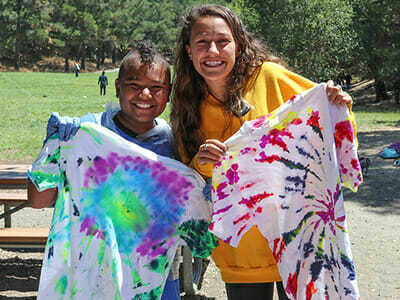 SuperChoice – Do more of what you love at camp! SuperChoice is a two and a half hour long activity period that older campers 5th grade and up participate in every Friday. SuperChoice clinics allow campers to specialize in more in their favorite program activities including horseback riding, swimming and waterfront. Program counselors plan activities that are challenging, exciting, and build the skills they are learning. 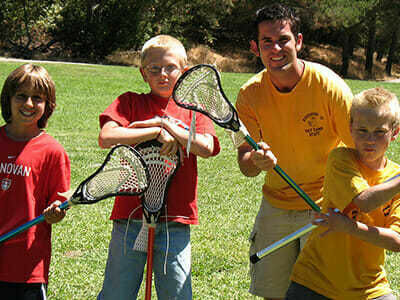 We offer new activities for each grade level, so campers can continue to grow year after year. 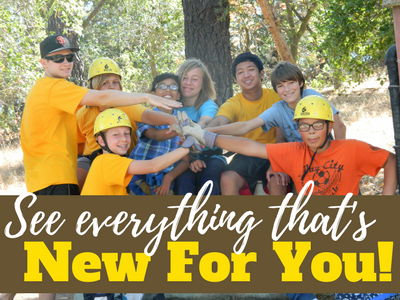 GET EXCITED about the new activities you can do at Roughing It this summer!